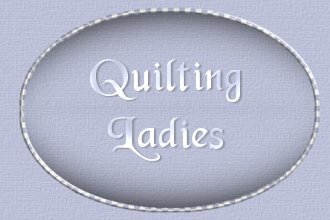 Welcome to the Quilting Ladies Quilt Group. You must be a member of Quilting Ladies to use this Quilt Sheet and the Specialized Quilt Headers you see here. This is not just a "snagging" group. We will have a weekly "theme" for quilt squares. Feel free to share as many quilt squares as you care to... but participation in the group requires only one weekly. If there is a problem, please contact either JustTaffy or Diane... do not bring it into the group. This means we don't want to see complaints about members, their posts, their quilts squares or any sigtags they may include in their post. Also if you feel the need to announce to the whole group something about a virus or a new group, please DON'T unless you ask us first. Lastly...we hope you have a GREAT time sharing quilt squares with everyone. We are here to de-stress and just have FUN FUN FUN!! !